Discussion in 'Retirement Home' started by NutheadBros, Jan 14, 2013. Walking down a street toward the school was a young man with orange colored hair, he wore a black and white bracelet on his left wrist. He had a small bandage on his cheek, apparent that this person was a fighter. 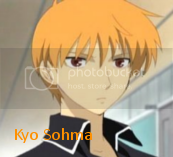 He froze up when a young female voice shouted to him, "Hey, Kyo!!!!!" 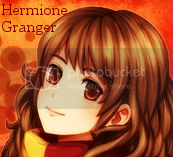 "Hey, Hermione...." He said, looking at the bushy brown haired girl, Hermione, who ran up behind him. Joining them was another girl with brown hair and a girl with short blue hair. Two young men were walking down the sidewalk to the school. They were highly popular from the crowd of girls who were looking at them lovingly, Harry and Yuki were discussing their upcoming test. Also walking toward the school was a young man with flaming red hair with two young blonde girls. The one wearing the cowboy hat was strong, evident from the bucket full of apple she was carrying. Ron and Rhyme talked about the meal that would come from Applejack's apples. Along the way were two female students, one with short blond hair liked to sketch from the sketchbook she was carrying while the pink haired one had a love for animals from the bunny clip on her bag. Fluttershy hummed her favorite song happily while Namine simply walked through the crowd of students, curious about she was going to draw next. Taking a deep breath, Fang practiced her old gymastic skills of which she was still very skillful. A small crowd of onlookers watched in awwe and surprise at the skill of the gym and cheered at her moves and skills. Fang smiled as she received her cheer from the many fans who were watching her. Wiping her sweat, Fang took a sip of her water bottle and sighed, hoping that the day was going to be alright before hitting the showers to get cleaned up. Outside on the street, as Kyo and Hermione walked, two blurs passed them. From atop one of them, White called out to Red and her friend Black. "Too slow boys! Maybe you Rapidash is just Rapidrash!" White giggled at her terrible joke. "No fair!" Black said, "You guys cheated!" It was true though, Leaf and White's Rapidash had used Attract and tricked himself and Red's Rapidash into not moving. At the Taco Bell close to Nintendo High, Gaston and Trixie were having breakfast while Gaston was telling stories of the many incidents he bullied others. "..and then I threw tar all over him. All over his body, can you believe it?!" Gaston concluded with his story as both he and Trixie were laughing as though the story was a comedy. "Oh Gaston, I don't know how I could possibly stand school without you! And a new school year means more disciplining!" Trixie said. "I concur!" Gaston replied, whose watch started to beep, "Ugh. Well, time to go." Gaston and Trixie then left the restaurant to go to Nintendo High. Little did they know, that fellow student, Xehanort, was sitting close by, admiring their aggressive behavior towards other students. He then left the restaurant as well. Sora and Roxas were about five minutes away from reaching Nintendo High. Both were entering it as new students. Sora was very optimistic about this new school, while Roxas was worried his brother may get himself in the same problems he had in their last school, where Sora would always try to defend other students from bullies regardless of whether he knew them or not. Roxas would then end up getting dragged into these fights, trying to protect his brother. Al Mualim escorted John Smith to an empty classroom. "This is where you will be teaching this year. Welcome to Nintendo High Mr. Smith," the principal told the new teacher. Smiling, John Smith responded, "It's a pleasure to be a teacher at this school Al Mualim. Thank you." After the two men shook hands, Al Mualim left the classroom, while John Smith placed his stuff on his desk, and glanced out the window and noticed the students of Nintendo High. On one end of a hallway in the school, Phil Coulson was carrying coffee while going to his classroom. 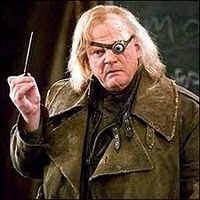 On the other end, Alastar "Mad-Eye" Moody was carrying a bunch of books while going to his classroom. Once both were close to each other, Coulson greeted Alastar, "Good morning Alastar." "Morning to you as well Phil," Moody replied as both men entered their own classrooms, which were right next to each other. Eraqus was outside the school entrance, welcoming students as they entered. Once Ron, Rhyme, and Applejack reached the entrance, Eraqus greeted them, "Ronald! Raimu! So good to you once again this year! And of course, it's pleasant to see you as well Applejack! The cafeteria staff really appreciates your hard work bringing us all these apples." Without warning, Rainbow Dash landed right next to them. "Hey guys! Sorry I'm late," the blue pegasus said. "Heh, you can never be late, can you Rainbow Dash," replied a smiling Eraqus. "You know me too well Professor Eraqus!" Rainbow Dash commented. Beat was rushing through the streets while Joshua slowly followed him, annoying Beat. "Yo Joshua! We gonna be late if we don' hurry!" Beat yelled towards his friend. "Beat, calm down. We're almost there. And besides, we've got twenty minutes till the bell rings," Joshua told his friend, "But you know, if you're in such a hurry, why didn't you go with Rhyme and her friends?" "BWAHHHH!" Beat replied, "I ain't gonna go wit' her when she's got her friends yo! She don' need me walking her to school anymore. She's a big girl now." Joshua simply shrugged and said, "Suit yourself Beat." The two then continued their walk to Nintendo High. "It's my honor as a member of the Apple family to give the folks of this town and school just a little slice of we have to offer, Professor Eraqus." 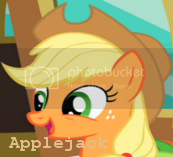 Applejack said, smiling after setting her bucket. Ron and Rhyme smiled as Ron said, "It's great to be back, Professor Eraqus. I'll try not to get into many fights this year." "With Kyo's temper and behavior, that's going to be hard, Ron." 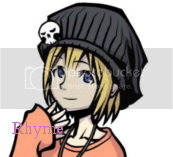 Rhyme said, smiling at him. 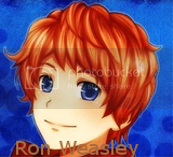 Ron rubbed his hair and nodded. Applejack looked at Rainbow Dash and said, "Mornin', Rainbow. Here, a apple from your good friend, Applejack. And here's one for you, Professor Eraqus. Now, pardon me while I deliver these apples." She grabbed the bucket once more after giving them their apples then headed inside, Ron and Rhyme began to follow when they heard a familiar voice. "Rhyme, I've got control over my anger!" Kyo shouted, Ron laughed as Hermione said, "That didn't sound like it, Kyo." "Besides, what 'bout that bandage on your check?" 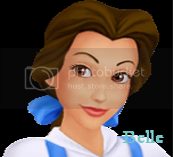 Belle said, flicking the bandage on his cheek. While Kyo groaned, Aqua waved at Eraqus, "Morning, Professor Eraqus." Yuki simply walked by his cousin and the others, ignoring their antics but he did stop by Eraqus to tell him, "Good morning, Professor Eraqus." Yuki noticed that Harry wasn't beside him and watched him help Namine after she bumped into him and fell backward. 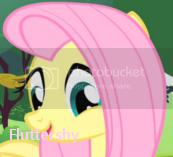 Fluttershy came up and helped as well, she asked, "Are you alright?" "Alright, I was just clusmy." 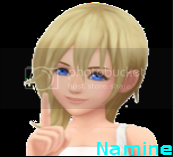 Namine said, nervously smiling. Harry handed her the sketchbook that fell, "Here. You dropped this." Namine shyly took it and smiled, Harry smiled back, his group of fan girls shouted in happiness, which surprised him. Outside the High School stood the (self-proclaimed) Number One Student Kamina, and his blood brother Simon. The two had just been transferred from another High School to Nintendo High, and were ready to make their presence known...Or at least Kamina was. "Simon! Today's the day we leave behind our past failures and create new victories! And it all starts here!" Kamina called out, pointing to the sky. "R-Right, bro." Simon responded, nervous about starting at a new school. Kamina sensed Simon's nervousness and patted him on the back. "C'mon, Simon, there's nothin' to worry about! You've got the Number One Student Kamina by your side!" "That's what worries me the most..." Simon mumbled. "That's the spirit!" Kamina yelled, having apparently misunderstood Simon. The duo approached the entrance, noticing Professor Eraqus standing by the door. "Yo." Kamina said as he walked past Eraqus. As they entered, Kamina took in his surroundings before inhaling the new High-School air. "Aahh. You smell that, Simon?" "The smell of a new tomorrow, obviously!" "All I smell is that trash can by the door..."
"Well met, you two!" Called a voice from next to them. Kamina and Simon looked over to the source of the voice. They were met with the sight of a beautiful girl with long light blue-and-yellow hair wearing a traditional school uniform. "My name is Nia. What are you two called?" Kamina put on a confident smile. "Hey there, name's Kamina. Nice to meet you, Nia." "...Hi I'm Simon..." Simon mumbled, his face red. Kamina slapped Simon on the back. "Speak up, kid! We can't hear ya if you mumble like that." "M-M-My name is S-Simon...It's nice to meet you, N-Nia..."
"It is nice to meet you to, Simon! You too, Kamina!" Suddenly, a large dark shadow was cast over Kamina and Simon from behind. "Hey, what happened to the lights?" "Hello, father." Nia said to someone behind Kamina and Simon. Kamina and Simon turned around. They were met with the large, muscular figure of Lordgenome, the school's History teacher. "Who the hell're you supposed to be?" "What the-!? I'm sorry, don't mind him, he doesn't know what he's saying!" "Are these two bothering you, Nia?" Lordgenome asked in a deep, foreboding voice. "Not at all, father. I've just met them." "Alright. But the moment I hear of anything remotely negative coming from you two, especially around my Nia, you will suffer dire consequences. Am I understood?" Kamina stayed silent, crossing his arms. "You will call me Mr. Lordgenome." "Right, yes sir, Mr. Genome!" "Good. Now get to class. The bell will be ringing soon." Lordgenome said before making his way to his classroom. Simon looked at one of the clocks on the wall above some of the lockers. "He's right, we need to get going! What's our first class again?" Simon asked himself. "Here." Nia said, handing Simon a piece of paper. "What's this?" Simon asked, taking the paper with his shaky hand. "It's a schedule. It shows what students are in what class at what time." Simon looked down at the schedule to try and find his name. The first thing he noticed was that Simon, Kamina and Nia all shared the same first hour. "Hey, we've all got the same first class! And that class is..."
Simon's eyes instantly widened upon hearing that. "Aww, c'mon, Simon. Don't let 'im scare ya! I'll be by your side the whole time!" "Let's go then, Simon, Kamina!" Nia said as she turned and began walking in the direction of her father's classroom. "You heard the lady, Simon. Let's go." Kamina said as he followed Nia. Simon sighed before folding up the schedule Nia gave him and putting it in his pocket for safe-keeping. He then began to follow Nia and Kamina to the History Classroom. OOC: I'll continue on later with more. Kinda ran out of time. As they entered the building, White, Red, Black, and Leaf all overheard Genome threatening Lamina and Simon. "Well, he's certainly mean." White remarked. Black nodded, then checked the schedule once the others had left. "Well, we have the first class with those three and the teacher. Then it looks like we have Philosophy with-" Black stopped short. "Oh boy." "What is it Black?" White asked. "After history, we have Philosophy, and our teacher is Ghetsis." "OH SON OF A BI-"
"I hope you aren't saying what I think you're saying young lady." Said a menacing voice. "Oh, hi Clair!" Red said. "Ah, hello Red, Leaf. I teach Mythology, hope I'll see you in my class later. Good day." Said Clair, heading to her classroom. White sighed. "Dang it." She said, obviously annoyed. From his office, Sirius heard Lordgenome threatening Kamina and Simon. He sighed and returned to the work on his desk, saying to himself, "Gemone needs to calm down." Then he smiled and thought about when it would be time for his class and he could see Harry again before taking a quick look at one of the pictures on his desk. 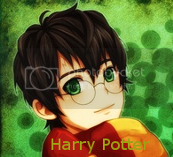 It was himself, Harry, and a man who looked like Harry with amber brown eyes from the start of the summer vacation. "No worries, James. I'll look after Harry during this school year." Sirius said, smiling before freezing at the sound of a familiar voice, "Says the guy who becomes obsessively crazy when he sees his godson." 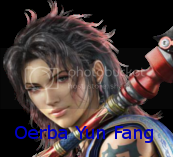 Sirius looked at the owner of the voice, Fang was standing in his doorway, her hair dripping wet with her towel over her shoulders. 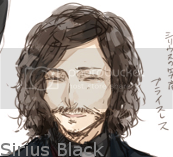 Sirius shouted, "Have you no shame, woman?!!! And I don't obsess over Harry!!!!" "Sure, you don't. That's why his friends point out you keep him from breathing most of the time." "Have you seen Gemone's office?!! He's the one who obsesses over his daughter!!!" "Yeah, but you're much worse than him." The two's argument reached the history classroom, Ron asked Harry, "Isn't that Sirius and Fang?" "Sounds like one of their arguments again." Harry hid his face on his desk, "This is going to be a long school year........."
Tsukasa was walking down the hallways, a shcool biefcaseslungover his shoulder witah hand holding the object and sat in hsi chair in history and place dthe case onashook ont he side fo the tableprovided and he leant back, obivously bored. "History huh, why should welearn thigns of the past when welive in the present? Such a bore..." he thought as he felt glances of some minor girls, obivously the tsukasa kadoya fanclub that was growing, he ignored the girls though, it was too bothersoem to remedy the problem. 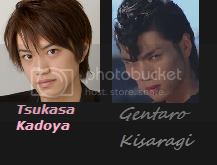 Gentaro opened teh door and hegave a smile. "Yosha! History first, let's all be buddies in this lesson!" he said rather enthusiastically and tapped against hsi chest before pointing at teh class as Tsukasa gave a dull sigh. "You're always diving headfirst into things Kisaragi." he said dully. "Of course Tsukasa! My goal si to become Buddies with everyone, that's my resolution!" he said with absolute determination. "Why thank you Applejack," Eraqus said while taking a bite from the apple the pony gave him. As Applejack went inside, Rainbow Dash followed her. "Applejack, wait up!" Rainbow Dash called out to her friend. Once Aqua, Hermione, Belle, Kyo, and Yuki appeared, Eraqus greeted them all, "And a good morning to you all! I hope you're all prepared for a new year!" Just then, Kamina and Simon waved towards Eraqus, who then waved back at them, despite not knowing them, figuring that they were new students. Once Luigi approached Al Mualim, the principal had a feeling he knew who he was. "Hmm... ah yes, I remember you. I spoke with your parents a few days ago. You and your brother Mario are new students this year. I was actually going to the secretary to give her your schedules, but I guess I could give them to you now," the principal said while giving Luigi two sheets of paper detailing the classes Mario and Luigi need to attend. "One more thing," Al Mualim continued, "You and your brother are excused from wearing uniforms today since the two of you are new. You'll need to buy uniforms at room A113 for both you and your brother to wear starting tomorrow." As Gaston and trixie were walking down the hallway, they noticed that Kirby and Yoshi were in their way, watching the fight between Mario and Bowser. "Outta the way you cooks," Gaston said as he pushed the two aside for him and Trixie to pass through. the two bullies then noticed Bowser ready to fight with a new student. Gaston simply commented, "Looking good Bowser," while Trixie winked at Bowser. The two then continued their walk down the hallway. Joshua and Beat made it to Nintendo High, and reached the classroom where their first class was being held, English. "Hmm, haven't seen Rhyme anywhere," Joshua commented. "That's fine," Beat replied, "She's prob'ly hangin' out wit her friends right now." John Smith turned around to see his new students. "Hello there! The name's Professor Smith. Looks like you two are early," John Smith said, introducing himself to Joshua and Beat. "Good morning Professor Smith. You're new here, aren't you?" Joshua said. "Indeed. First year teaching at Nintendo High. However, not the first time I come here. As a matter of fact, I was a student here many years ago. Ahh, good times..." John Smith replied. Sora and Roxas arrived at their classrooms. However, Roxas's first class was Algebra with Professor Moody while Sora's first class was Biology with Professor Coulson. "All right Sora. Just try not to get in any trouble, okay?" Roxas said to his brother. "Don't worry Roxas. 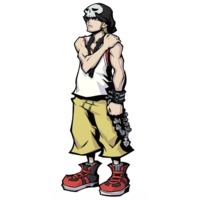 I got this," Sora replied. Smiling, Roxas said, "Ok then. See ya!" Both Sora and Roxas then entered their respective classrooms. It was already early and yet...the second the overly care free blonde had happily strolled into the school, he was faced with the scowling red head. Despite being shorter than him, the red head seemed to exude a menacing aura. "My man, Sasori...you're here early. Come in to move that creepy crap you call art out of the display cases?" Sasori's hazel eyes narrowed, "No...and it's not creepy crap, it's art...true art. I came to clean the equipment in the shop room...but someone has taken my metal polish...." He kept glaring at the blonde until anger welled inside him. "You took it...didn't you." It wasn't a question, but a statement of utter loathing. "I did not, hmm! Just because you can't find your crap doesn't mean I take your things! What would I need a bottle of metal polish for, anyways!? Hmm!" A smirk appeared on Sasori's lips, "I never said it was a bottle... You wouldn't know that...unless of course, you stole it." Catching the art teacher in his attempt to hide his flustered expression, Sasori's smirk widened into a full smile....not a very kind smile though. "Just hand it over and I won't strangle you in your sleep, Deidara." Deidara reluctantly unlocked the door to the art room and meandered slowly over to his desk. Rummaging through the piles of firecrackers he used to make his "art" explode, he eventually pulled out the black bottle of metal polisher he'd taken from Sasori's desk the last time he'd been in there. "The hell do you need to polish all those saws for anyway, hmm? It's not like the kids even notice they're shiny or anything..." Sasori's expression went back to being one of uncaring and mild interest. "They might not notice...but I do. It's much nicer to see a glittering blade cut into wood...." noticing Deidara's 'wtf' look, he sighed and added, "And it's safer. I'd rather not let them get rusty and cut a child's finger off and get sued...I'm not you, Deidara...I don't have a lot of money." Deidara's mouth worked soundlessly as he tried to come up with something to say. "I told you, if you need money, you can just ask me! I'm not gonna say no, my man. I mean...we're uh..." Sasori knew where he was stuttering towards and didn't like admitting those words out loud. "I won't ask. I just won't make mistakes. I'll see you later..." Deidara sighed and slumped into his chair as Sasori's red locks disappeared through his door. Kakashi Hatake, and Kakuzu sat staring at the broken TV in the lounge room. Staring at the black screen gave Kakashi plenty of time to ponder his classes. "We should just get a new one..." he grumbled without looking at the older fellow teacher beside him. Kakuzu wasn't a friendly person...unless you were paying him...which Kakashi wasn't. "There's no point staring at it unless it's going to come on and tell me who won the football game last night." Kakashi reached up to tug his tie down a bit more, he swore the thing was trying to strangle him to death. "There's no need to waste money on another...Sasori can fix it. He's good with his hands." The way he said it made it sound like it had some sort of hidden meaning to it....but Kakashi wasn't going to start questioning the rather frightening looking Accounting teacher. Reaching further up, Kakashi touched the band of blue cloth he tied around his head and pulled down to cover his left eye. His eye wasn't missing...just really different. It was his good eye, so to speak, and a very unique color. Students tended to ask questions that he didn't feel like answering, so he kept it covered. Of course...keeping it covered up had earned him the strange TA Xigbar's attention. He wondered why the man didn't just either become a teacher or get a less involving job if he was going to slack off so much. Zetsu stood bent over his ingredients and frozen foods that he'd eventually turn into today's lunch. In his mind, he went back and forth over what to make. Enchiladas were good...but he wasn't sure whether or not he had enough beef thawed out to make them....or should he just go with chicken enchiladas? Pour a little Pesto over it, throw in a good helping of peaches, some milk and BAM! a delicious and nutritious lunch...or would water go better with it? It depended on if there was enough beef.... "Is there enough beef? There's never enough beef..." he grumbled half his sentence in a much lower tone of voice. Hearing a tap on the glass where he dished out the food, he turned and found Xigbar sniffing around and plainly staring at him. "Need something? Of course you need something...everyone does." Rolling his eye, Xigbar grinned, "What's for lunch? Is it gonna be scary looking? Should I go and buy myself a bento now?" Zetsu's yellow eyes flicked breifly back to his food stuffs, "No...it's Western style." A surprised expression crossed Xigbar's face and he wiped imaginary sweat from his brow, "Oh that's good...I seriously thought it was gonna be something frightening and I'd get sick off it again." Zetsu's expression soured the more the talked. "Did you have a point...or did you just come here to make fun of my food. If not, then go away." Saix stared out his window at the massive train wreck caused by the two students he'd seen enter the school earlier. A part of his brain didn't want to even give them credit for causing such a huge mess...and yet...he couldn't believe the entire country of Japan could survive from all the earthquakes and tsunamis they experienced... The moon was a fickle woman..always bringing misfortune and yet without her they'd all be dead. Riku, Nagato, Gaara, and Neji....a small group of what most of the females in the school called the princely types, headed for the entrance to the school only to be flagged down by a swarm of screaming girls. Riku glared cool blue eyes at them and those calling his name quieted down. Neji cast pale gray eyes towards those shrieking his name and offered a well practiced smile and a wave. Those girls half fainted. It was the pair in between of the ultra cool and calm boys that found themselves panicked from the sudden wave of attention. Nagato's cheeks turned crimson with embarrassment and Gaara glowered down at his feet. Riku herded the girls out of the way for them. "Girls are impossible..." "They're really loud..." Nagato observed from underneath long lashes. Neji laughed, causing another wave of fainting girls to occur behind them. "They're just excited to see you. You should take the attention in and relish it, Gaara. You too, Nagato. I mean, you're a third year and all you do is hang out with us...avoiding any girls. Wasn't there a girl you liked?" Nagato flicked his red hair out of his eyes only for it to fall back, "Her name was Konan...but...I don't want to focus on girls during high school...I should be focused on my grades...and getting into a good college." Gaara nodded along with Nagato's reasons. "There you go again...you sound like Riku." Riku's blue eyes flashed as he looked back at Neji, "Is that a problem?" A challenging look entered the Hyuuga's eyes, "Yes...it is. The next thing we know, they've gone off the handle and are sniffing around their best friends!" Growling, Riku reached out to grab Neji's collar only for Gaara's pale hands to shove them apart. It always amazed Riku how strong the short red head was. "Nobody said anything about switching sides!" Of course...he'd spoken rather loudly, even for the usually quiet kid that he was and they probably had the attention of everyone. 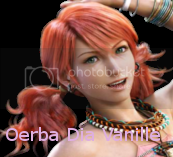 While Fang and Sirius continued to argue, their best friend, Vanille, the school's gardener, came into the room. Fang and Sirius looked at the red haired woman who suddenly came in with a pot of freshly picked roses and other flowers and looked at them strangely. Fang had one of her fingers in Sirius's mouth, pulling it out, while Sirius had unknowingly put a hand on one of Fang's breasts. A very loud punch and slap was heard, a few moments later, Sirius was at his desk, a red imprint of a hand on his cheek while Fang was in one of the chairs, sitting backwards while Vanille dried her hair with the towel. "You two should get along instead of all this fighting." "We do get along, but Sirius got too.... 'serious' when I teased him a little." Fang said, smiling and laughing at the pun she made. "That isn't funny, Fang!!!!" Sirius shouted at her, Fang looked at him and playfully stuck out her tongue. Unable to handle her any longer, Sirius headed to his classroom for his first class. Vanille sighed while Fang headed to her office and returned to the garden. "Howdy there, Zetsu. Brought a bucket of fresh apples you can use for lunch. Hello, Mr. Xigbar. How are you today?" Applejack said, smiling as she set her bucket of apples on the counter and looking the authority figures in front of her. "Well, I'd better be getting to my class. See you at lunch, Zetsu." She tipped her hat at them, then galloped to her class. Rhyme was on her way to Sirius' French class as she passed Trixie and Gaston, she had witnessed what they did to Kirby and Yoshi. Though she knew not to get involve, Rhyme couldn't ignore what she had seen and shouted at Gaston and Trixie, "You shouldn't have done that!!!! They just wanted to get more members for their club!" Tsukasa turned his head to the door sliding open as Kirby wasrelaying a messege aboutsomefight. "Oh? A fight? Sounds interesting..." Tsukasa said and headed off with Gentaro following as they were witnessing the bout between Mario and Bowser. "Isn't it against the rules to fight?" he asked his fellow Rider as Tsukasa placed his hands in his pockets. "Let them do what they want, they started it andthus, must finish it unless a techer has the guts to eneter the fray." Vice Principle Roku opened the door to his office and stepped into the hallway. "so it starts." He began to walk down the hallway "Any students I catch in a fight will be given detention". He could hear Fang and Sirius's argument coming to a end. To bad he could not given them detention, he thought as he let out a chuckle. He finally go to the source of the fight. He used his firebending to make the fireballs die down. "Do you really want to be ex-spelled before the first day even begins." Setsuna walked past the fight. "Even in a high school there is pointless fights." He walked into John Smith's classroom and took a seat. He remembered his manners "Good morning" he said. William Fate walked through the service entrance of the school and began to whistle. He walked to his closet and used his keys to get his supplies. "A brand new year what could go wrong." He began to walk down the hall of students still whistling. Shinji walked past, Aqua and the other students. " She is cute" he whispered. He then focused on what he was doing. "I don't even know where I am going .... high school stinks." Mostly everyone, expect for Harry and Namine, went to see the fight before Roku stopped it. Ron and Applejack went to Rhyme, Applejack asked, "You alright there, sugar cube?" Rhyme nodded when Ron recongize the two, he and Applejack stood in front of Rhyme. Kyo and Aqua stood in front of Hermione and Belle, also knowing the two bullies. 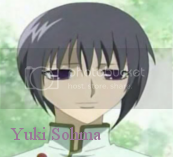 Yuki stayed close to the classroom and kept quiet. Harry looked at Namine who was drawing in her sketchbook, he asked, "You're not going to watch?" "I don't really like fight and such." Namine said, sketching. Harry couldn't think of another topic to talk of. Vanitas grabbed Tobi and shoved him in front of the fireballs, scorching the masked teen to a nice crisp. "Whooooo...that was hot!" Tossing him aside, Vanitas ignored the Vice Principal and grabbed Mario's throat, his golden eyes flashing dangerously. "You're on real thin ice there, Italy. Callin' us names....not cool at all. We'll have to teach you a bit of respect, or I'll have Larxene here zap you until your fat covered heart stops." Larxene smiled and cracked her knuckles. "Until it stops." she said slowly. Xion scrambled up beside them, pushing on Vanitas' shoulder. "Vanitas, no...the Vice Principal is here..." Repliku, however, was much more interested in what was said before. Jabbing a pointed finger at Mario's chubby belly, "Who the hell's a girl?! What about Sai, you ain't got nothin' for that girly man?!" Sai shook his head slowly, choosing to stay out of the pointless argument. Instead...he pulled his sketch pad out of his bag and quickly drew the entire situation. Following the growing crowd, Riku, Nagato, Gaara and Neji pushed through the mass of people. Spotting Vanitas and his gang, Gaara grit his teeth. "It's Vanitas..." Nagato chewed on his lower lip as Riku shuffled through a mass of girls and grabbed Vanitas' wrist. "Hey, why don't we just cool off...like the VP said....there's no fighting in school." Meeting his bloodthirsty golden eyes, Riku returned the glare he received, "You're Vanitas...one of Sora's cousins...and the guy that made Gaara's life a nightmare in middle school." A brief look of surprise crossed his features and he turned his gaze to find Gaara. "So this is where you chose to run off and hide. Gaara....you are cute, but hanging out with these pretty boys..." Vanitas' unspoken secrets about Gaara infuriated him. Lurching forwards, Gaara got in one solid punch before Neji grabbed the short fiery red-head before he could tackle the psychopathic gang leader. "Gaara...it's not worth it man, not worth it." "No, lemme go! I'll rip his face off! I'll tear out his tongue so he can never speak again! Get off me, Neji!" "If you think I'm gonna let go, you're in for a real big shock my friend." Vanitas wiped a small trickle of blood from the corner of his mouth and laughed, "That's my boy! C'mon, hit me again." Nagato, being their senior, slapped Gaara hard and turned to glare at Larxene and Tobi, his own classmates. "I suggest you two get to class before something worse happens. Gaara...you've worked hard to free yourself from him, don't lose your cool now." Over half the girls present (NPC girls) screamed and wobbled in their shoes. "NAGATO-SEMPAI!" Heat flooded his cheeks. Gaara slumped in Neji's arms, his cheek blooming a bright red hand print. Releasing Mario, Vanitas motioned for his members to follow him. Vanitas glanced back over his shoulder and smiled at Gaara's glaring turquoise eyes. "I'll be seein' you, Gaara. Seein' you real soon." "Bu-bye!" "Later, losers!" "I'll see you in class, Nagato~!" 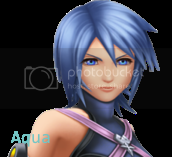 "Let's go, Xion..." She followed obediently, casting a forlorn look back at Riku. Crowds parted further down for a familiar blonde haired teacher and ruffled black haired TA. "Wh-what's going on?" "Looks like....some sort of fi- Uh, I mean...a disagreement, Professor. Y-you should get going to class to get things ready. I'll deal with what's happening here." Minato smiled at his TA and slipped through the crowd to his classroom. Shisui Uchiha, Minato's TA, appeared just as suddenly as he usually did right beside Bowser. Setting a hand on the large brute's head, he smiled in a friendly yet menacing way. "So...who wants to start talking first? Oh...Mr. Vice Principal...you needn't trouble yourself with these flunkies. I'll handle them." Zetsu smiled after Applejack left. Since he didn't want to frighten someone who actually bothered to learn his name and say good morning away, he didn't say much to her. Taking the apples, he busied himself with adding apple pie to the menu, which delighted Xigbar. "Nice...remember the sugar, Zetsu! I'll see you at lunch time!" He didn't bother to wave goodbye to him. Zetsu commenced his massacar of the food. Before Gaston or Trixie could respond, they noticed Vice Principal Roku break up the fight. "Hmph, you're all lucky Mr. Roku came. We're going to be late for our classes anyway. But don't expect us to go easy on you this year." Trixie said as she and Gaston left. 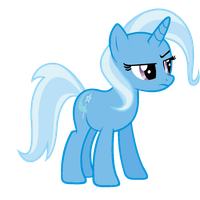 Trixie arrived at Professor Eraqus's classroom for chemistry class, although Eraqus was still outside. Meanwhile, Gaston arrived at Yen Sid's classroom for music class. "Ah, Gaston," the music teacher commented once Gaston entered the room, "I hope you won't be causing trouble for fellow classmates again this year." "Who me, nah," Gaston replied with an innocent look, "I've changed a lot during the summer break." "Very well then. Have a seat next to Xehanort," said Yen Sid. 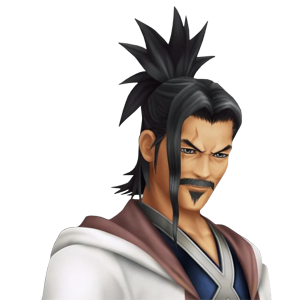 Gaston looked around and saw Xehanort sitting in a nearby desk. Gaston sat close to Xehanort, who barely spoke to anyone, and as barely seen (except in class that is). "Xehanort... why don't I see you around a lot?" Gaston asked the enigmatic boy. "That is none of your concern," Xehanort answered. Usually, Gaston would try to sound tough and threaten a student who would say that. But not Xehanort. This was a student who looked tougher than he looks. Gaston respected that about him. Once Setsuna walked into Professor Smith's classroom, John Smith greeted him, "Morning to you as well! We still have a few minutes till class starts, so socialize with the others if you wish." "Hello there. I'm Joshua, and that there is Beat. What's your name?" Joshua asked. Rainbow Dash raced towards her Matematical Sciences class and found Dr. Robotnik standing there. "Heh, made it!" Rainbow Dash said as she sat on a desk.